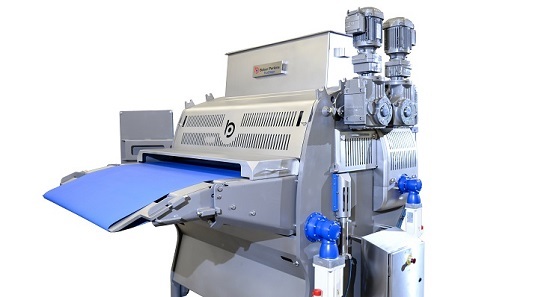 Baker Perkins has introduced a new servo-driven version of its well-proven TruClean™ Wirecut machine to form cookies and bars from soft dough. A patent has been applied for on the new servo-driven wirecut mechanism, which brings improved automation and flexibility to production. 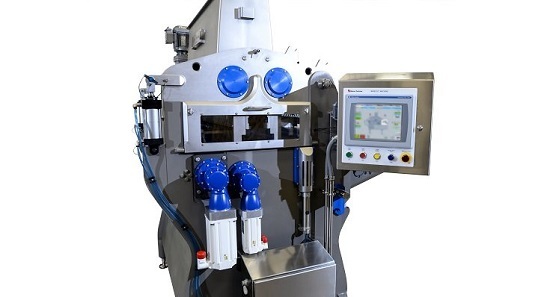 The two-axis servo system provides infinite variability to the cutting and return paths, enabling optimum cutting performance to be achieved, even at high speeds or on difficult dough. Tailored profiles can be created for each individual product and loaded at the touch of a button. 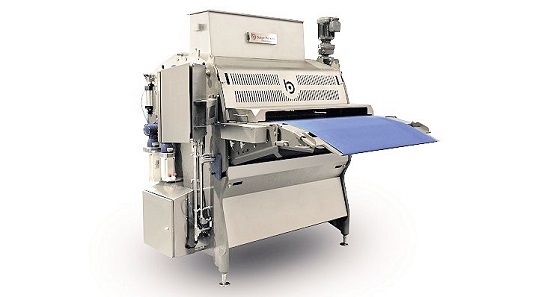 The remaining parts of the wirecut process – hopper, feed rolls, filler block and dies – are carried over from the previous version of the TruClean™ Wirecut, ensuring that product characteristics, high-accuracy weight control and easy cleaning are maintained. In other areas, ease of operation, cleaning and maintenance have all been improved. Setting up is all done from the HMI and once a profile has been developed and tested it can be saved as a recipe for one touch set-up. The TruClean™ range of forming equipment for cookies and crackers is designed to meet all the latest industry guidelines on hygiene. The main objective of enhanced sanitation is to eliminate risk to consumers from cross contamination; usually this means allergens and pathogens, but the same high standards are required making Kosher, organic or GMO-free products. Every detail is engineered to minimize debris accumulation, and make thorough and effective cleaning as easy as possible. As well as the Servo Wirecut, the range includes rotary moulders, rotary cutters, laminators, gauge rolls and sheeters.